Our company started on March 30, 1993, buying the Belmira farm which was dedicated to the reproduction of trout, sale of fingerlings and sport fishing. Initially the alevinos of the Municipality of Belmira were transported to the Municipality of Guarne, where their sale was made. Belmira’s farm was in charge of reproduction. 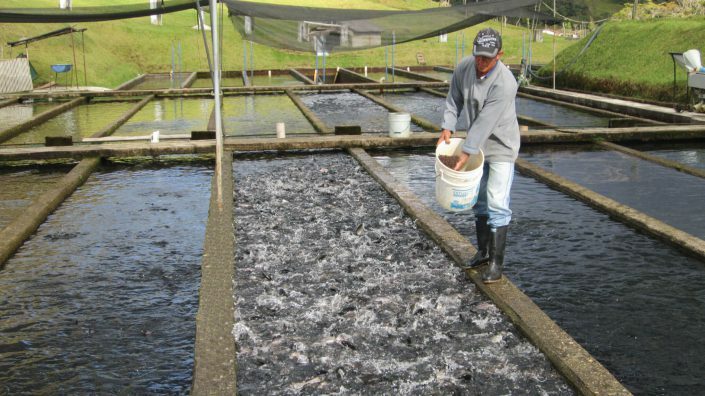 Which was later left as only sport fishing, and we moved to the municipality of La Union (Ant), where the production and process plant was installed, which was certified under the HACCP quality standards. Which is a quality program that controls the risks that the product may have during its processing and puts some controls to prevent the product from being contaminated. This certification allowed exports to begin in the international market in 1995, mainly to the United States market. 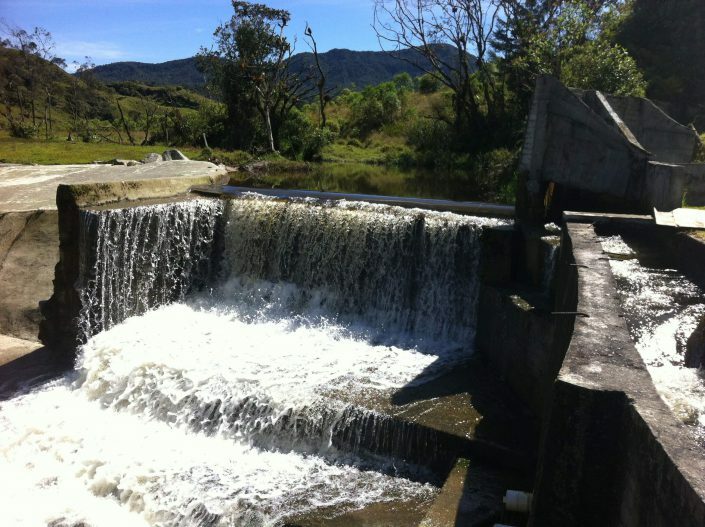 That same year, the “Arco Azul” farm was acquired in the municipality of La Unión. Subsequently other farms were acquired in the area of eastern Antioquia where today tripled production, optimizing and technifying our crops. 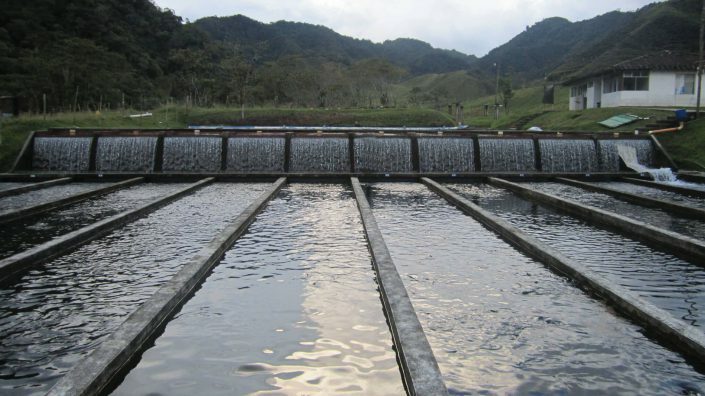 TRUCHAS BELMIRA S.A.S is a Colombian company that produces rainbow trout in pure, cold and clean waters, which conserves the environment. Our Company offers products of natural origin, which are processed with qualified personnel under the highest quality standards for human consumption, towards the National and International markets. By the year 2020, TRUCHAS BELMIRA SAS will produce 800 live tons per year, using state-of-the-art technology and emphasis on exports. The production will be carried out with own and / or leased farms using recirculation and reuse systems with oxygenation technologies that will allow it to stabilize production in the winter and summer seasons, seeking efficiency and profitability. Truchas Belmira will have new value-added products: smoked trout, premium, artisanal, organic, flavored, breaded, and will take advantage of 100% of the by-products to make hamburgers, pâtés, sausages, trout oil, organic compost and others. 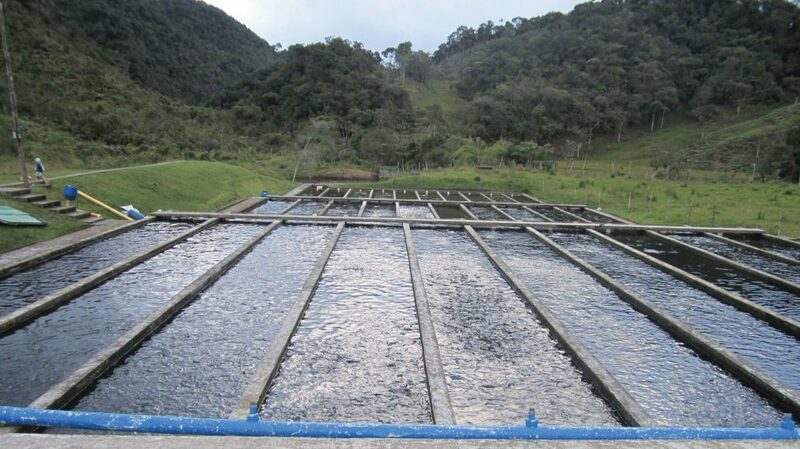 The process plant for value added products will be certified.